This months theme is anything holidays! 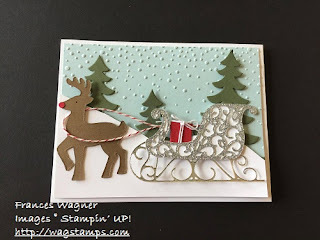 I have been loving the Santa's Sleigh Framilits.. They are so cute. 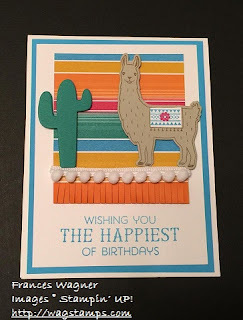 I saw an adorable framed one that Wendy Lee has on her blog and loved it and decided to make a card similar to her framed piece. I will be offering a class for a framed piece in early December so my friends can have it for the holidays. There is so many things you can add and make it yours. 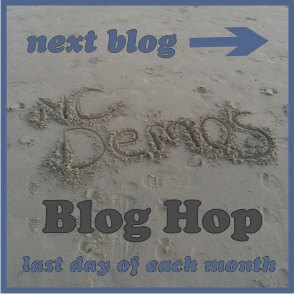 Make sure you follow the rest of the blog hop below for great ideas. 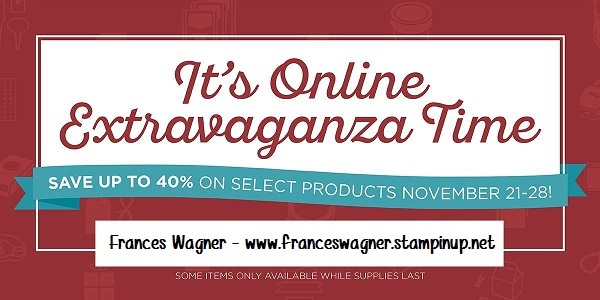 Don't forget Cyber Monday the final day of the Extravaganza!!! One of the things I love about being a Stampin' UP! Demonstrator is that when we go to a conference we get new product early and can start making samples. 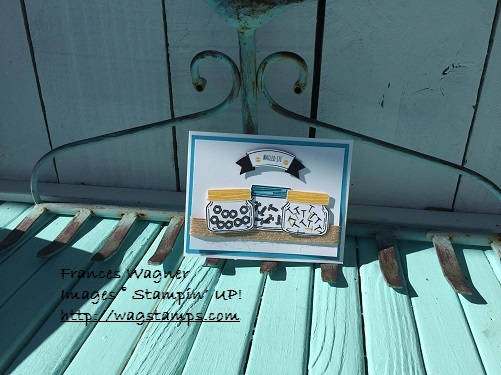 Today I have been working on a couple of samples to show at my upcoming vendor fairs and classes. 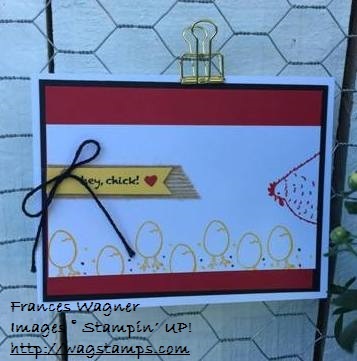 I love this little FREE stamp set from the Sale a Bration catalog Hey, Chick. 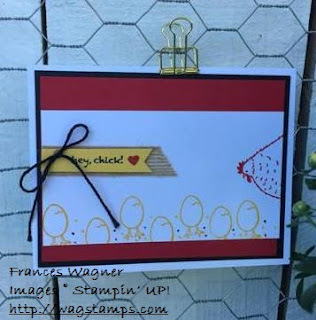 I have family members that raise chickens so I knew I had to have this set to send them cute tags and cards through out the year. 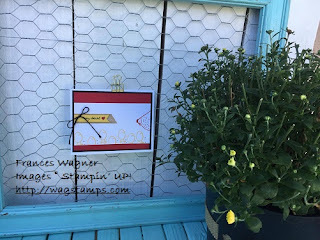 If you are not familiar with Stampin' UP! 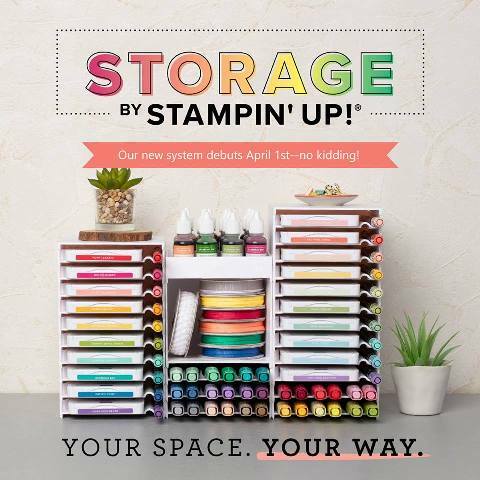 's annual Sale a Bration (SAB) promotion you are going to love it and you are going to want to book a party and have your friends over to stamp with you and see and play with the new products first. 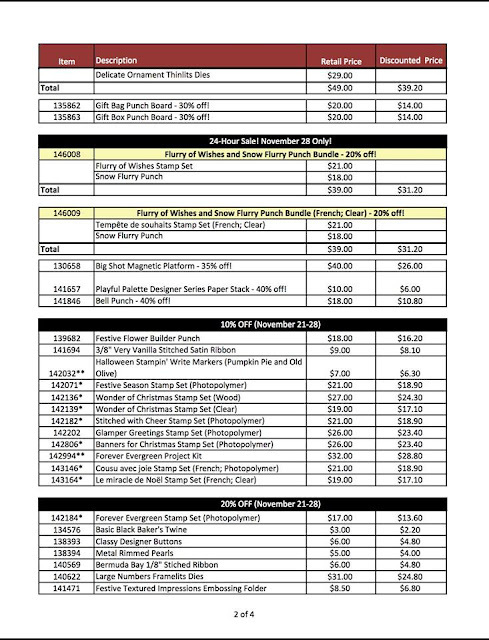 Wait there is more; Hostesses that have a party of $250 or more they get the usual rewards plus and extra $25 so it is a win win. You can also gather orders and not have an in home party. I will be having face book parties soon so watch for that. 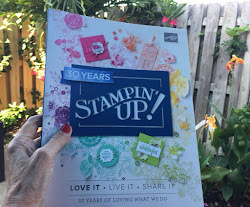 Since I went to the On Stage conference in Atlanta I got several stamp sets free, this one I got from the prize patrol and was able to pre-order other products when I got home. The stamp set below is called Nailed It. 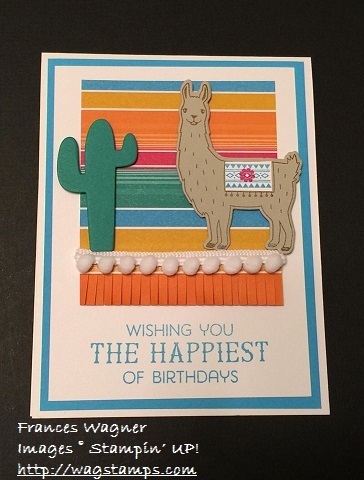 Today I have been working on samples to show my customers from the new catalog. For some reason I thought of the Jar of Love would work great. I remember my dad putting nails and screws in jars and stored in the garage. Fond memories. 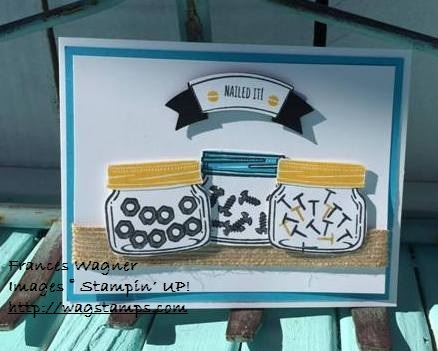 This is the sample board for the Nailed It stamp set along with others in the Urban Underground Suite. 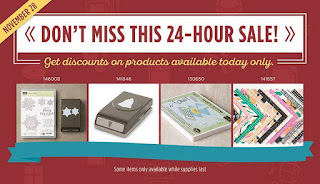 Check out these fun products on sale today only! 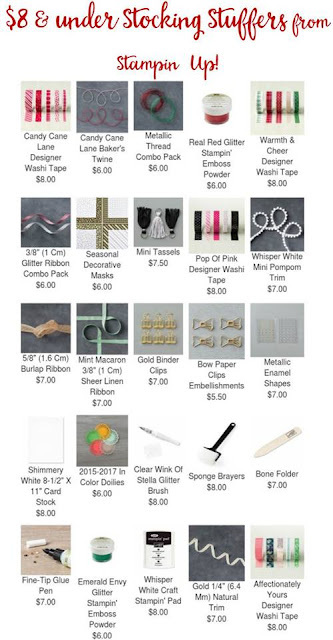 Don't forget to check out the rest of the week items that are available at discount prices and you can combine them. These would be great Christmas gifts for your crafty friends. Check out the list complete list here. Dont forget the Stitches From the Heart November promotion! 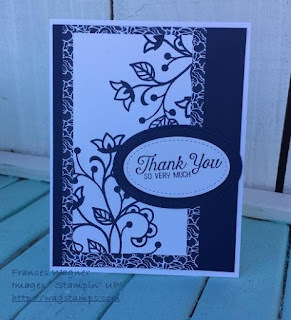 We used the ovals in a card yesterday at our Birthday/Thank you Stamp Camp and everyone loved it. 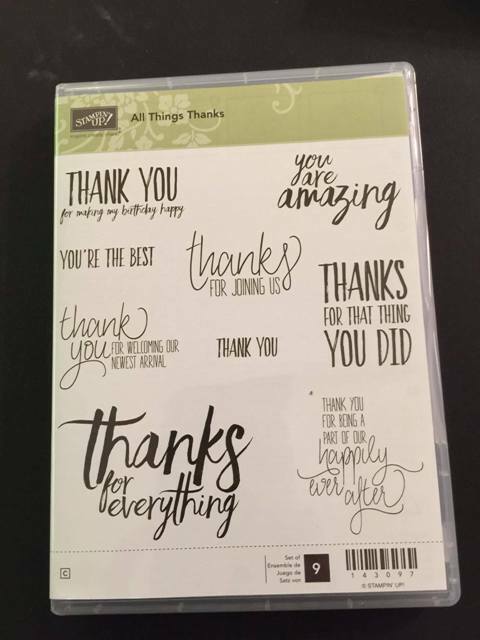 Check out the detail in the stitching on the thank you layer. Thanks for stopping by. Let me know if you have any questions. 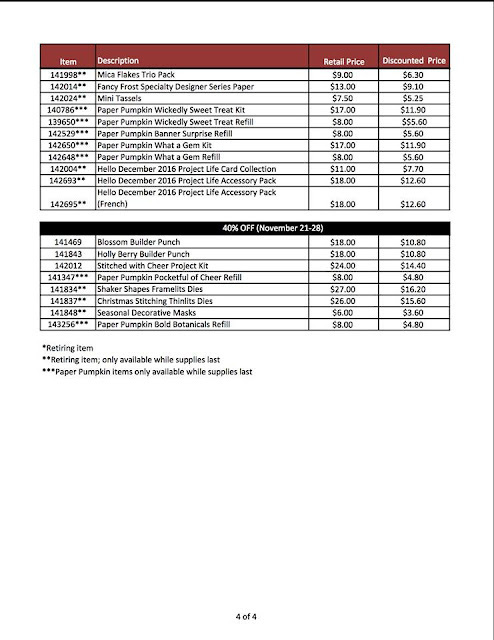 Check out all the details. 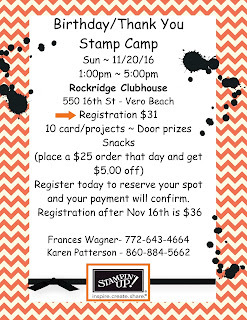 If you are in my stamp club and want to order for December stamp club please use hostess code HJRNSD4S so Penny gets credit. 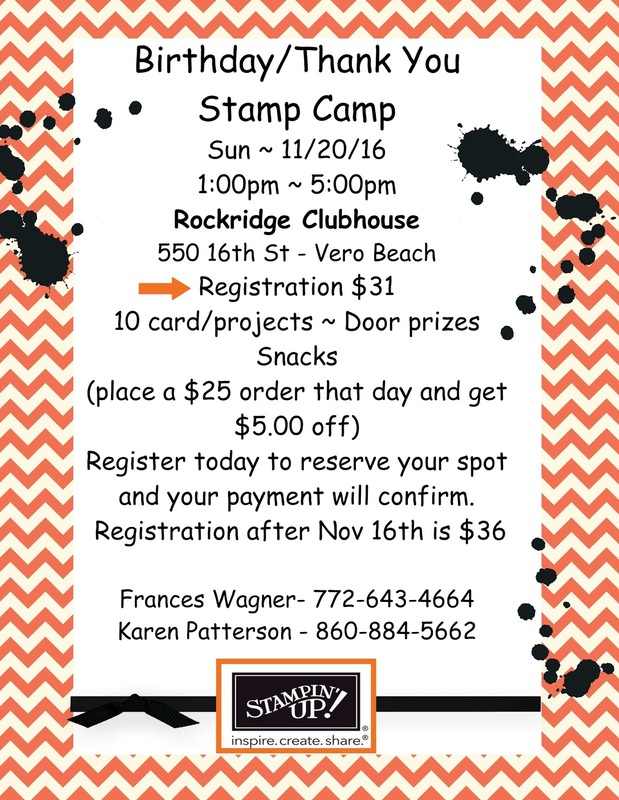 If you are not in my stamp club please use the hostess code on the right side bar. Great time to get that magnetic platform you have been wanting. Labels: Frances Wagner, Online Extravaganza, Stampin' Up! Save up to 40% on select Stampin' Up! 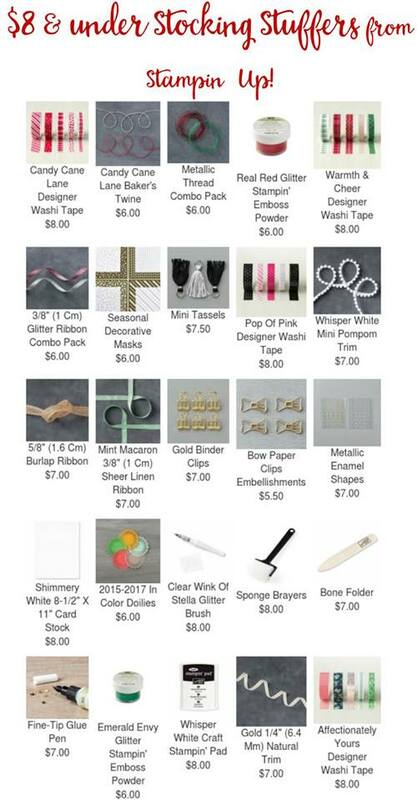 products during our week-long annual Online Extravaganza / Black Friday Sale!!! 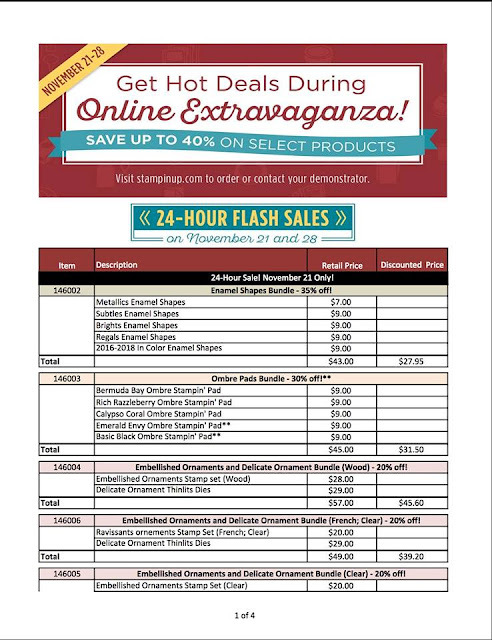 This year's Online Extravaganza will include 24-hour sales on Nov. 21 and Nov. 28 featuring special discounts only available that day. 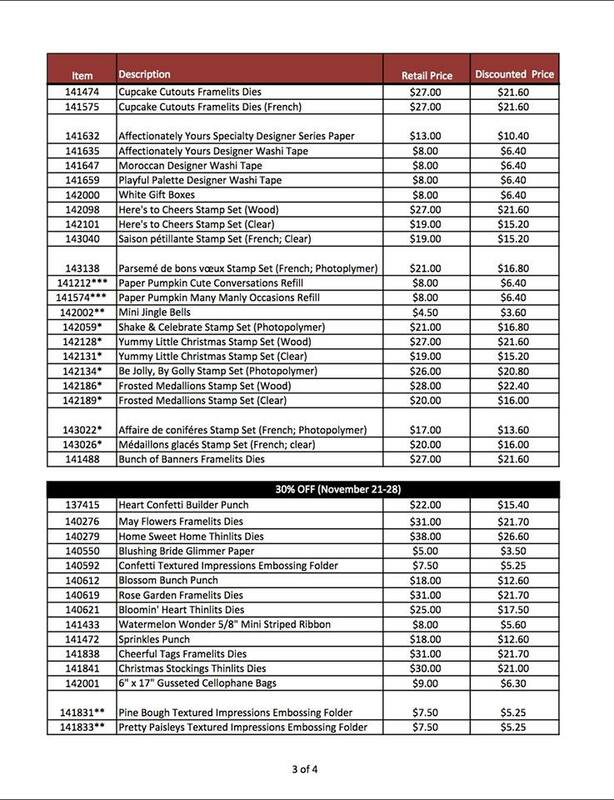 All other items will be on sale during the entire week, Nov. 21 to 28!! Just think.. no waiting in line, no need to find a parking space, shop in your pj's, grab that extra cup of coffee relax, just shop from home in my ONLINE STORE for Stampin' Up! 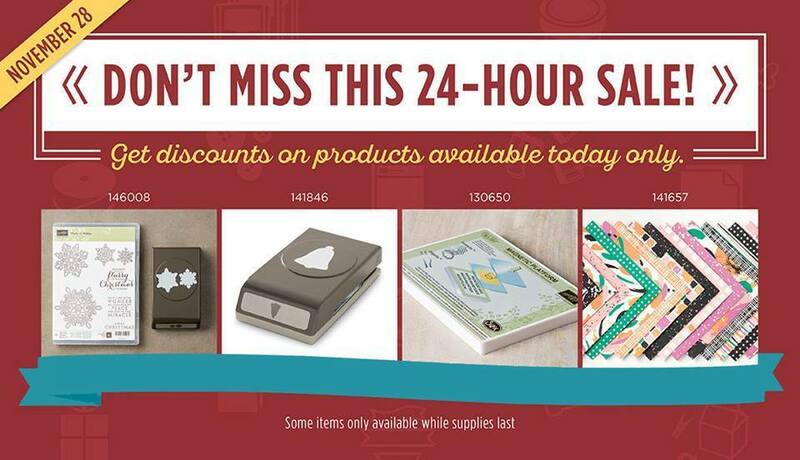 Stock up on holiday gifts, stocking stuffers and goodies for your crafty family and friends at up to 40% off! I have just returned from Atlanta, GA enjoying a wonderful weekend with Stampin’ UP! and several of WagStamper’s Team. 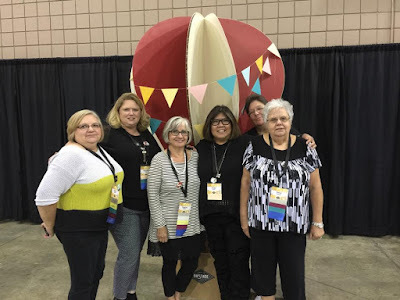 Below are a few of my team members from the Raleigh, North Carolina area. Left to right. Elaine Pelletier, Michelle Deal, Me, Pinky Lanier, Debbie Green (in the back) Karel Standish. 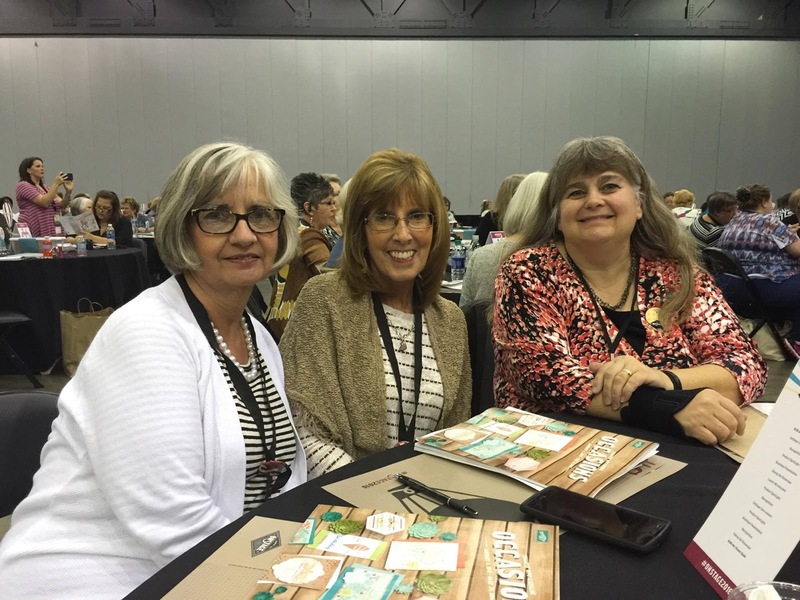 It is so much fun to have the people that are on your team to join you at these conferences. Thanks to each of you for taking the time out of your busy lives to join me in Atlanta. 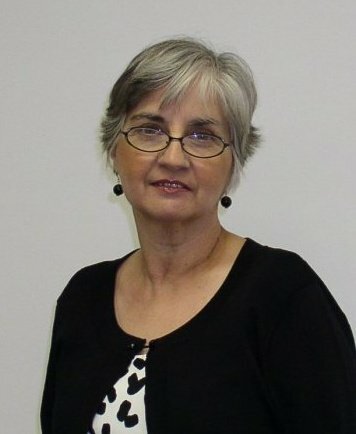 Below is Cindy Lubbe who got called away for an emergency and I didn't get her in our group photo. We were thinking about you Cindy. Several of us were in a shoebox swap and this was my card. I will be sharing the rest of the cards in the swap another day. Correction: I could not get the red crate to fit in my bags so I had to leave those out. But it would have been adorable. By the way do you love these gingerbread men across this bag. I saw it on Pinterest and I can't remember who was showing it. If you see it and it is your idea please let me know and I will be glad to give you credit for it. I got this sponge idea from Patty Bennett who is so creative. 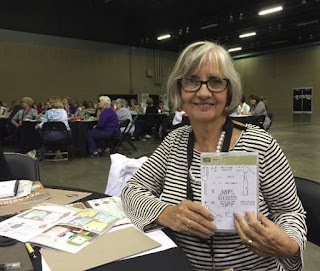 My friend June Sullivan is part owner of a sweet shop call Sweet Peas Marketplace and she sells crocheted coasters (and lots of cute stuff) When I saw them I knew I had to have them for my team. Roommate gifts: This is a smaller bag with those cute pumpkin coasters inside. Thank you June for the great idea. Even though it is not my own hand made item I love giving fun homemade gifts made from the heart. 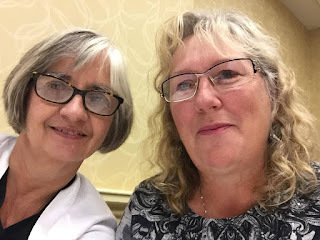 Check back soon for more ideas and fun photos of On Stage Atlanta. 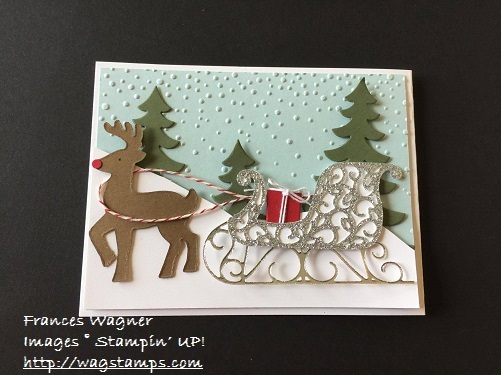 Look at the November special from Stampin’ UP! 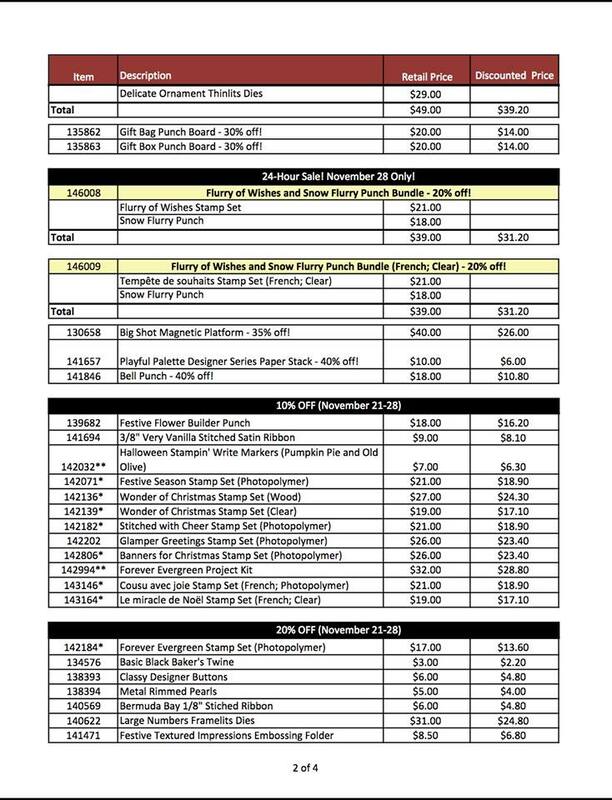 starting November 1st, I can’t wait. Stitched framelits in squares, circles and ovals (12 pieces in all.) They are one of the latest trends. 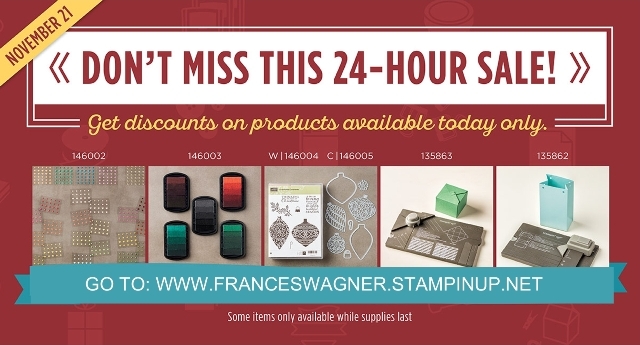 We got this sweet sneak peek plus you can order certain stamp sets that will be discounted at 25% off in November. 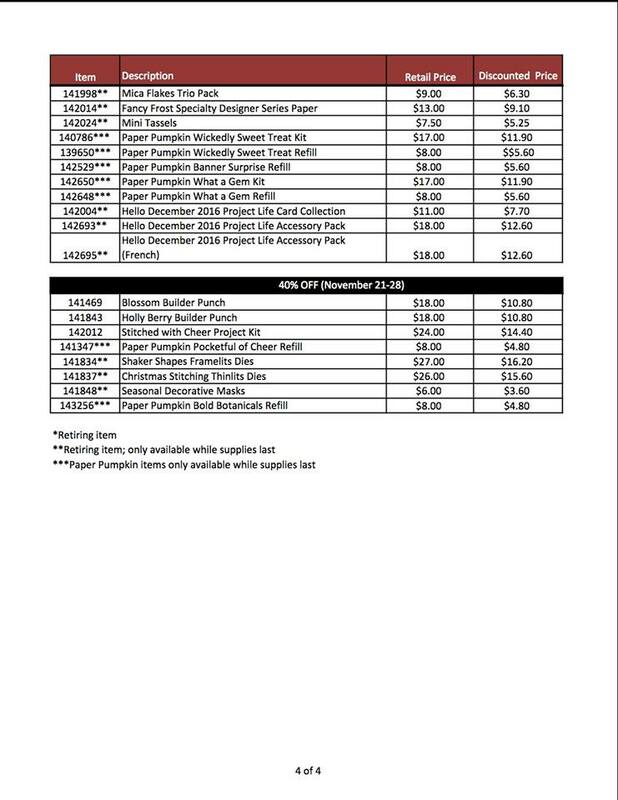 As a demonstrator I can purchase them at a discount, get hostess rewards if my personal order is over $150 and additional commissions. This could be you too! 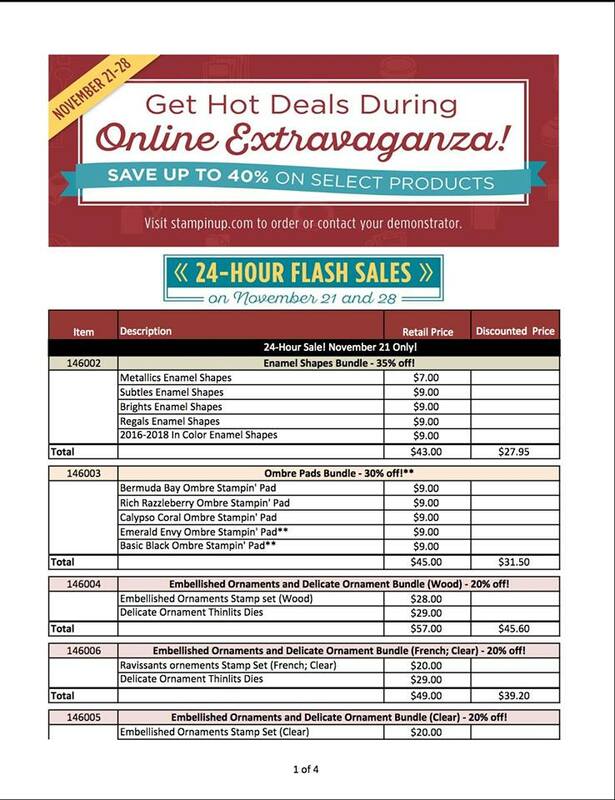 Join my team November 1st and you can add the new framelits to your starter kit as well as the discounted stamp sets. Contact me today for more details on joining my team and getting in on the fun! 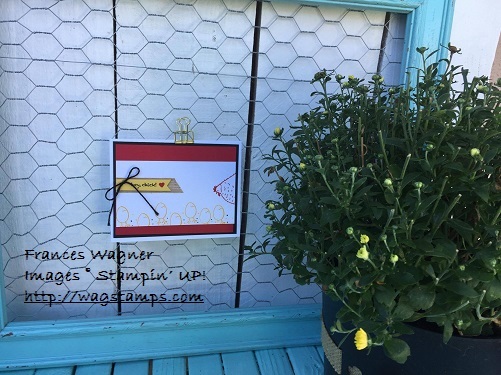 I will be ordering on Tuesday November 1st so get your order in to me before Tuesday November 1st for your very own Stitched Framlits and stamps! Or you can use hostess code # YMUD9M4U and order on line yourself on November 1st.